Cartersville, Ga.— Patcraft’s newest modular collection, Urban Relief, is designed to enhance commercial interiors through a thoughtful mix of texture and scale. 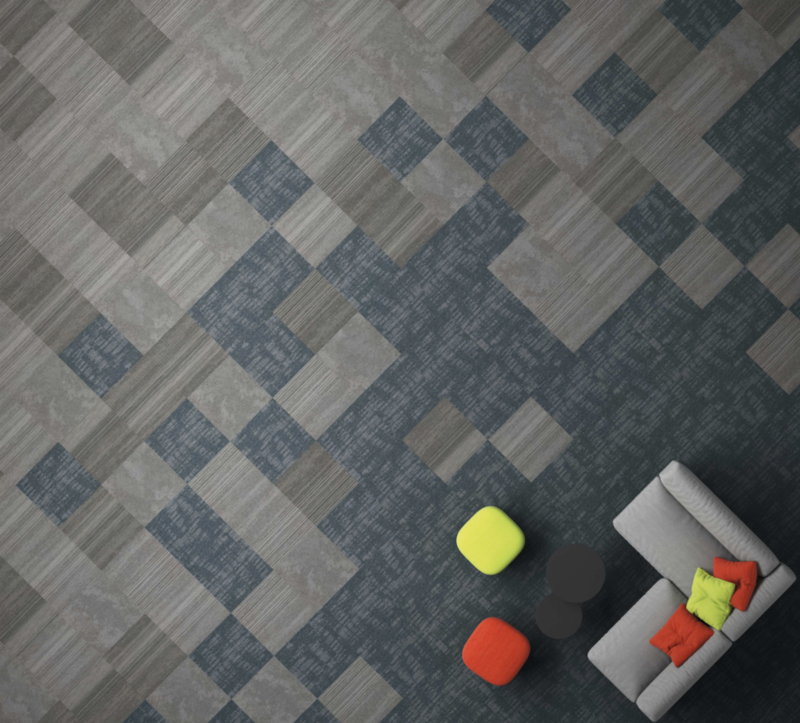 Available in 24 x 24 carpet tiles, the three styles within the collection feature subtle patterns balancing both the organic and synthetic elements of city life. Inspired by the history, character and contrast of city landscape, the collection is offered in 10 soothing colorways to create warmth and tactility within the built environment. Urban Relief’s three styles, Eastern Facade, Suburban Abstract and Edgeland are available in a color palette that allows for coordination with existing products or alongside other carpet and hard surface products. Eastern Facade is a medium scale, structured organic grid with heavier textures and layers of detail. Suburban Abstract is a large-scale, organic texture, reminiscent of concrete. Edgeland features a large texture with an accented thread-up to build scale within the pattern. Constructed with Solution QNylon and a multi-level pattern loop, Urban Relief also features Patcraft’s StrataWorxbacking. StrataWorx is a lightweight, durable backing that offers maximum efficiency in manufacturing, transportation and installation. Products are backed with ten-year limited warranties against stain, colorfastness to light, static and abrasive wear for maximum performance and appearance retention.